Significant investments are needed to support the global transition to a low-carbon climate resilient future in line with the 2015 Paris Agreement. Financial instruments play a critical role in creating incentives and in triggering financial flows towards these investments. 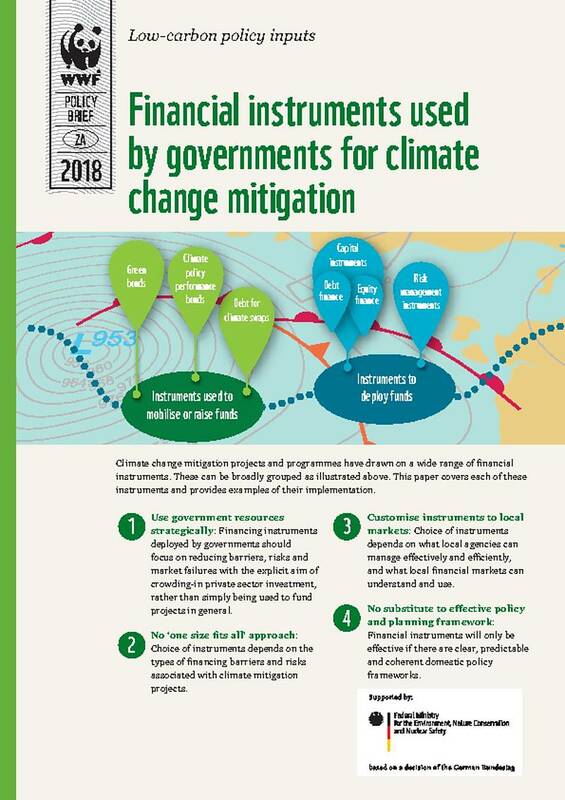 Governments have put various financial instruments in place to drive climate change mitigation, backed by funding from a variety of sources. This policy brief covers some financial instruments and innovations in the financial system that support the deployment of these instruments, with some examples and lessons that we can draw on for future applications. Some of the examples cover the financing of green projects and are not limited to climate change projects. This is because ‘green finance’, ‘sustainable finance’, ‘climate finance’ and ‘low-carbon finance’ relate to an overlapping territory of issues. The brief focuses on project and technology-related financial instruments for mature technologies.